If you grew up in the 1990s or early 2000s, you might be familiar with Rugrats. It is a children’s franchise that started off with an animated series and then due to its huge popularity spawned several films, specials, two spin-offs and many products. The show focuses on the day to day lives, experiences and the imaginations of a group of toddlers. It was recently revealed that Rugrats is being revived with a 26 episode series and a live-action/CGI hybrid film. The inner child in me had gotten all nostalgic about hearing the news of its revival; however, the outer adult in me has some concerns to an equal extent as well. 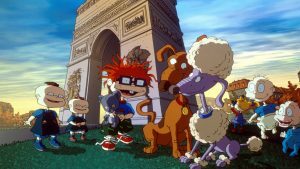 Considering the fate of many rebooted television shows and movies, will Rugrats stand out or just go in history books as another show that will be ruined because of a reboot? Many rebooted television shows and films don’t achieve much success. The reasons for them being a failure is mostly the lack of creativity and not doing justice to the original. As different as the two reasons may seem, a good rebooted television show/film has to achieve both. One particular example of this is Samurai Jack which achieved critical acclaim. Samurai Jack originally aired in the 2000s on Cartoon Network and was created by Genndy Tartakovsky. After concluding its fourth season in 2004, the show returned thirteen years later with a fifth season on Cartoon Network’s adult-oriented programming block Adult Swim. Not only was the fifth season a success because of Tartakovsky’s and the original cast and crews return, but also because it did justice to the original and proved to be a success with its original fans. Airing it on an adult-themed block was a smart move considering the original fans had grown up in 2017 so its content appealed to them. 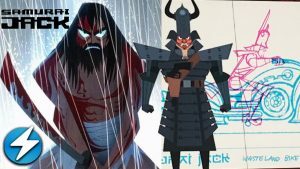 Many other revived shows haven’t received the same positive response as Samurai Jack. 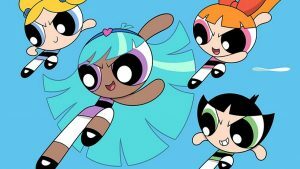 The revived PowerPuff Girls is an example. Neither does it contain much of the original voice cast but Craig McCracken who is the original creator isn’t a part of it either. It should be kept in mind here that the show airs on Cartoon Network, a children’s television channel so their main concern is targeting children but then again it is also a sense of betrayal for fans that grew up with the show. I repeat a good rebooted television series/film has to achieve both. Then there are shows that have outlived its run leading to a decline in quality. Examples of this include shows like SpongeBob Square Pants, The Fairly Odd Parents, and The Simpsons. It should be noted here that this was the same case with Rugrats as well. When the characters of Kimi and Dil were introduced, many fans and critics began to see a decline in quality. Rugrats is the third longest Nickelodeon television series behind The Fairly Odd Parents and SpongeBob Square Pants. Sequels and spin-offs are an on and off case. Some spin-offs and sequels become popular such as Boston Legal which is a spin-off of The Practice and Young Sheldon, a prequel of The Big Bang Theory. Then there are some that don’t really make a mark such as The Cleveland Show, a spin-off of Family Guy and Ravenswood, a spin-off of Pretty Little Liars. 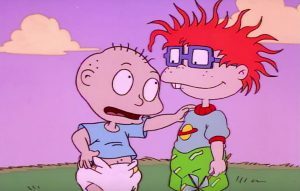 Rugrats is not only returning as a revived animated series, but it is returning with a live-action/CGI hybrid film as well. The live-action films of Scooby-Doo and The Flinstones, for example, received negative reviews. So the Rugrats film can prove to be quite a challenge. It is hard to comment on if the revival will be a success or not but considering that the three original creators Arlene Klasky, Gabor Csupo and Paul Germain are involved and chances of most of the original voice actors reprising their roles it is in safe hands. The big challenge here for the creators is that they need to realize that this Nickelodeon is quite different from the old Nickelodeon, so the creators not only have to appeal to today’s target demographic of the channel but also the old fans. Will the revival be a success or not? This will be answered when the time comes.